Recently Sonakshi was seen dancing on the streets of Ahmedabad for one of the tracks from the film. The free-spirited actress is also known for her bubbly and energetic nature. After shooting for this song, which is also a very peppy track where she will be seen in a rickshaw makes for a super cool & fun visual. While shooting they were mobbed by her fans and gracious as she is she was seen clicking selfies with some of them. 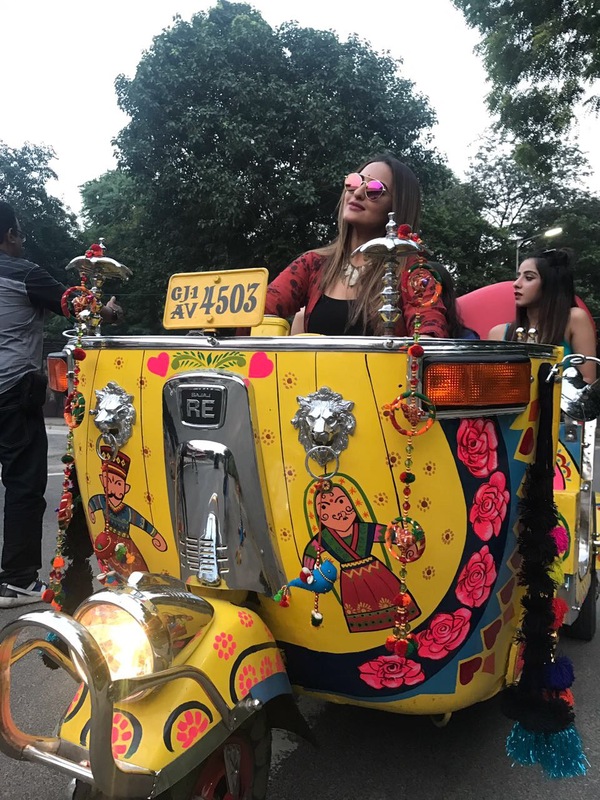 The actress post the shoot was seen enjoying and taking pictures on the same rickshaw with her team. Currently, the crew is shooting in London for the next schedule.